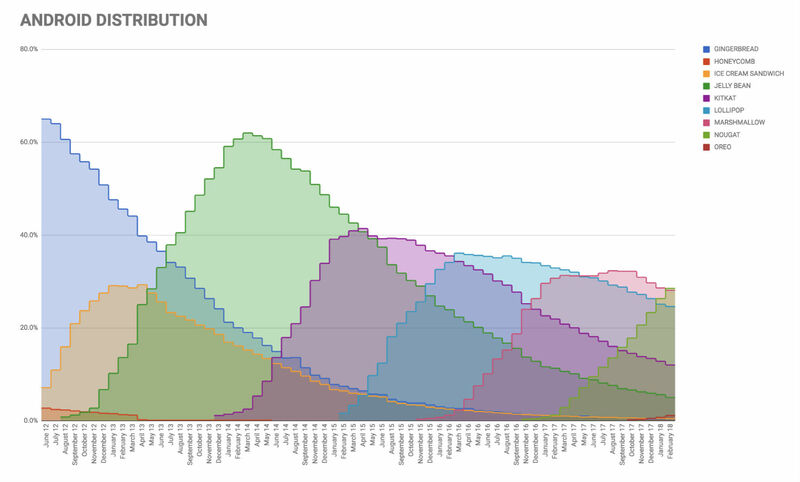 It only took what’s basically been half of a year, but Oreo has cracked 1% on the Android Distribution chart. Last month, Oreo was sitting at 0.7%, but now, Android 8.0+ is at 1.1%. It’s not the largest jump in history, but hey, we’re getting there. 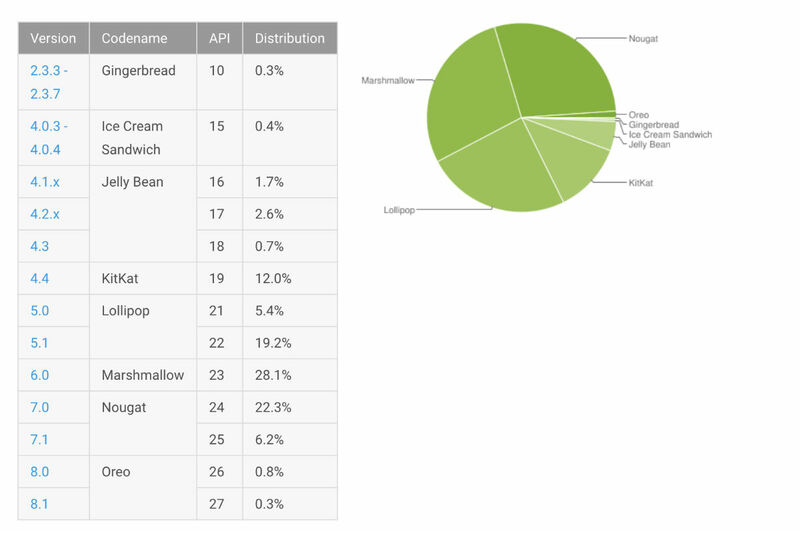 For other versions, Nougat is now at 28.5% (up from 26.3%), Marshmallow is at 28.1% (down from 28.6%), Lollipop is at 24.6%, KitKat is at 12%, Jelly Bean is at 5%, and the others make up for the remaining 0.7%. You can see last month’s numbers here.